4th year Pic 054 - Jan 06 2012 Admiring fish! 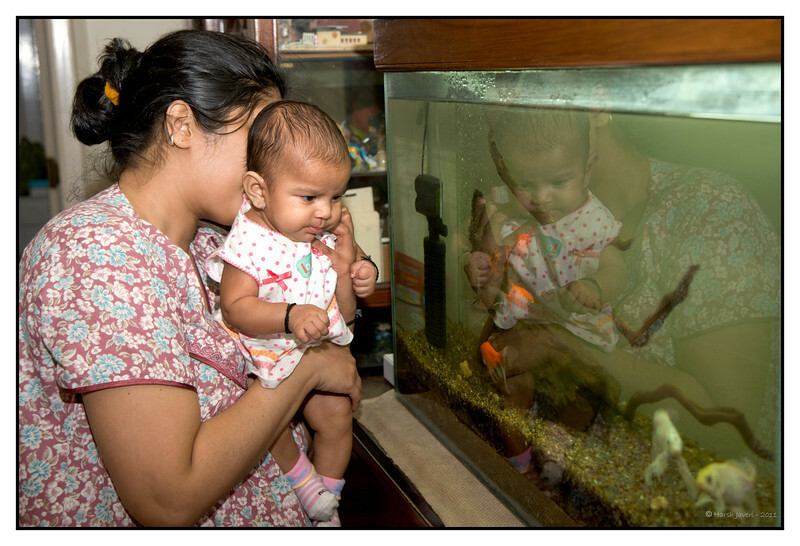 11th December 2011 Anika loves to watch the fish in our aquarium, and instantly stops crying when we take her near the tank! BTW the earlier pics of the Oscar and Parrot fish were from my nephew's tank in Ahmedabad. How fast they grow, she is beautiful and it's a treat to see her reflection also. Love the curiosity. SO THATS WHERE THE FISH SHOTS ARE COMMING FROM ! What a precious story to go along with this adorable shot! Love this shot, Harsh! She's going to be a keen observer of nature! She's so darling! Adorable and I love the reflection and the intense expression.